FreedomPACS PACS Cloud provides a cost effective and completely portable PACS solution for any size practice. FreedomPACS PACS cloud will allow you to review and share both new and archived images, 24/7, from any web-based browser to streamline workflows, provide faster results, and improve healthcare delivery. FreedomPACS PACS cloud customizable interface allows you to quickly retrieve, compare, manipulate, and annotate images for faster and more precise interpretations. FreedomPACS Server and FreedomPACS PACS Cloud are designed to grow as your practice expands. Leverage FreedomPACS PACS Cloud to help meet mandated imaging requirements. 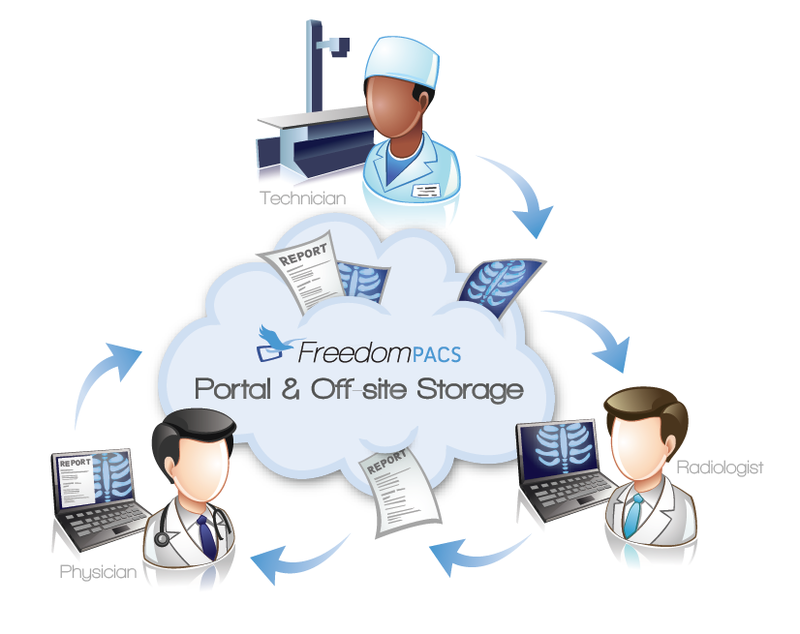 Since 2001, FreedomPACS has been a leader in the design and implementation of PACS Cloud solutions for a wide array of medical, surgical and radiological offices, and has extensive resources to continue to deliver the highest quality service for your practice.